After touring some more of the country (including stops in SXSW and NYC), Giles will be returning to Columbus for a session this Sunday, May 4 at Columbus Flea at Seventh Son Brewing Co. from 11:00 AM to 5:00 PM. 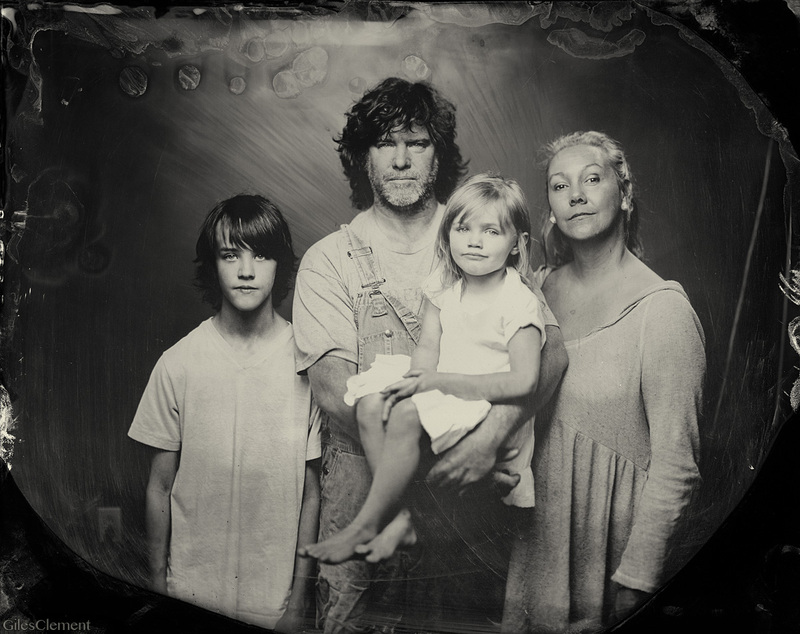 You can get your own 4×5 tintype portrait for only $40 and pick it up that Monday at Seventh Son. 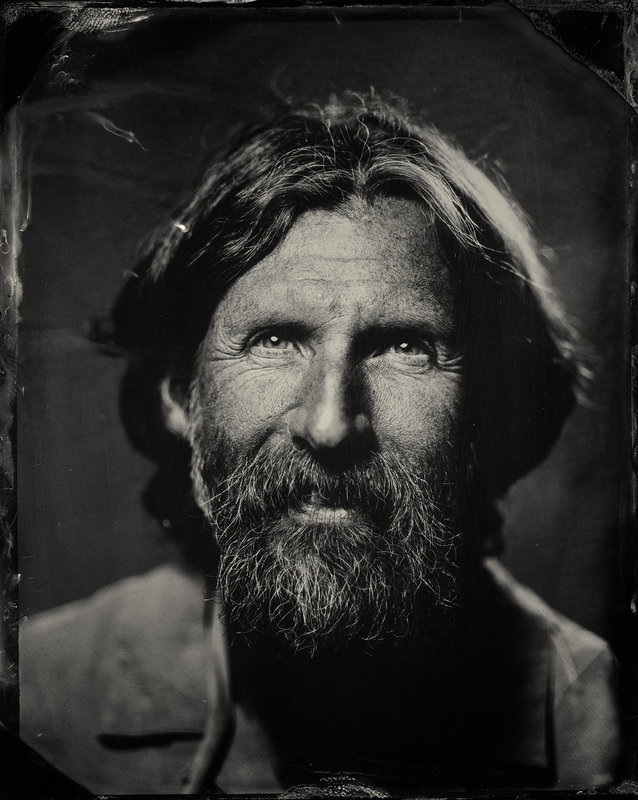 Everyone at the store was blown away by Giles’ tintype expertise, so we asked Giles a few questions about what attracted him to tintype and what inspires him. 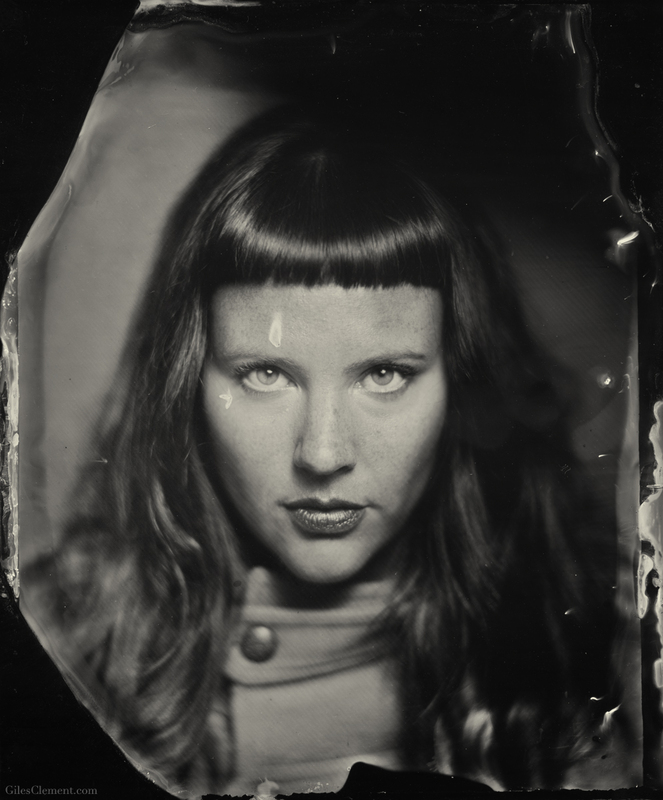 Check out our interview, and more of Giles’ tintypes, below. MPEX: How long have you been taking pictures? What inspired you to pick up a camera? 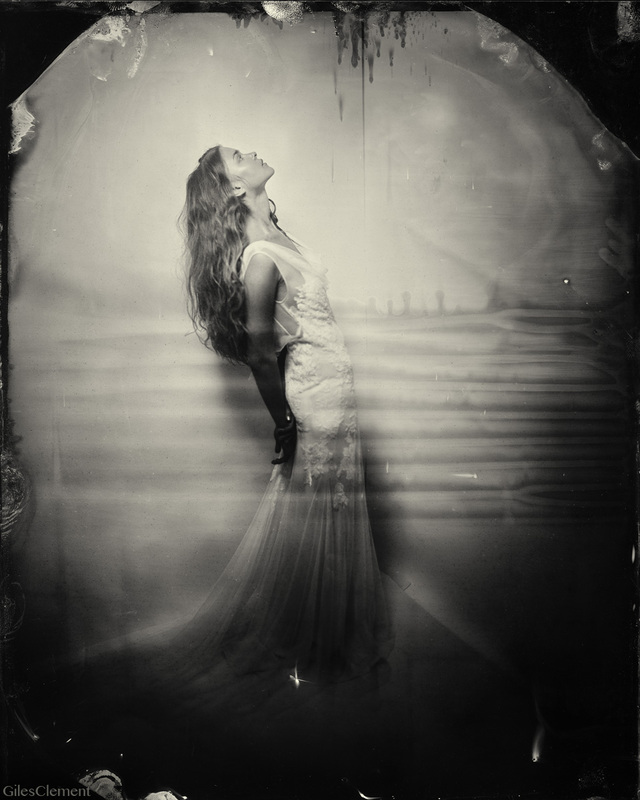 Giles Clement: I have been shooting since about 2000. My dad was an amateur photographer, so I had some interest already. Then someone gave me a copy of Robert Capa’s biography. His photos were and still are amazing, but the story of his life captivated me even more. Photographing war by day and seducing French movie stars by night was a very appealing career choice for the 20-year-old me. I guess you could say I got into photography for the romance. What other photographers have inspired you over the years? I feel like I’m constantly inspired by every photographer I meet, both good and bad. A few of my photographic heroes include James Nachtwey, Milosz Wozaczynski and Richard Avedon. What makes a “good” photograph to you? I think it’s rapidly becoming more difficult to make a “good” photograph. There’s just such a bombardment of photos out there, every day we see thousands, so to make one really stand out now takes a special something. I like photographs that are somewhat bizarre, different than anything I’ve seen before. I’ve been really focusing on portraiture for the past few years, and a portrait that I like is one where the there is an obvious collaboration and trust between subject and photographer. 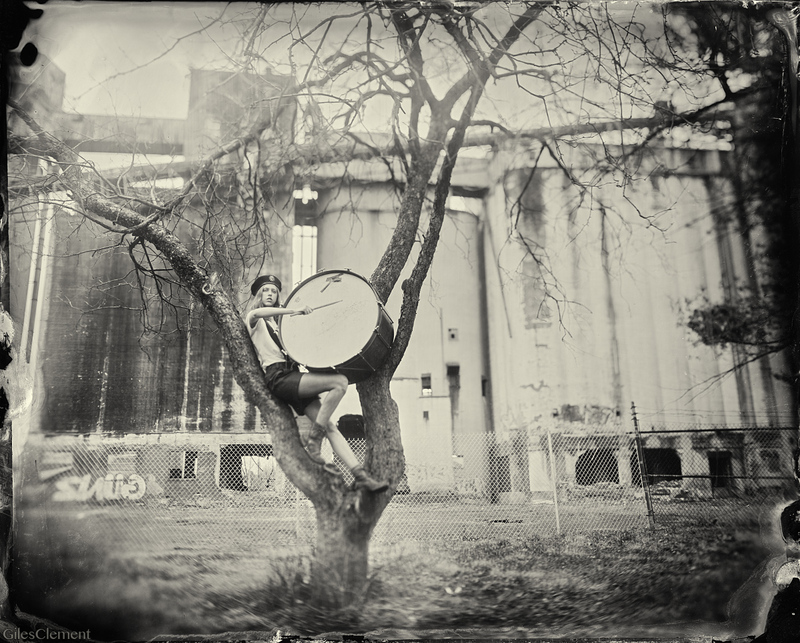 How do you personally inspire collaboration and trust with your subjects? I’ve always felt, and continue to feel, that I draw most of my inspiration from my subjects. I put in the hours, days, and months in perfecting the technical side of photography, and they bring the rest. I’m simply a means of their communicating who they are to the world. The better I am at what I do, the less interference. I try to approach every photograph as an opportunity and with an open mind. Each time someone’s in front of my camera they put a certain amount of trust in me that I’ll communicate them honestly and fairly. I just hope that I’m able to do that better with each time my shutter opens. So did you start with digital photography? Film photography? 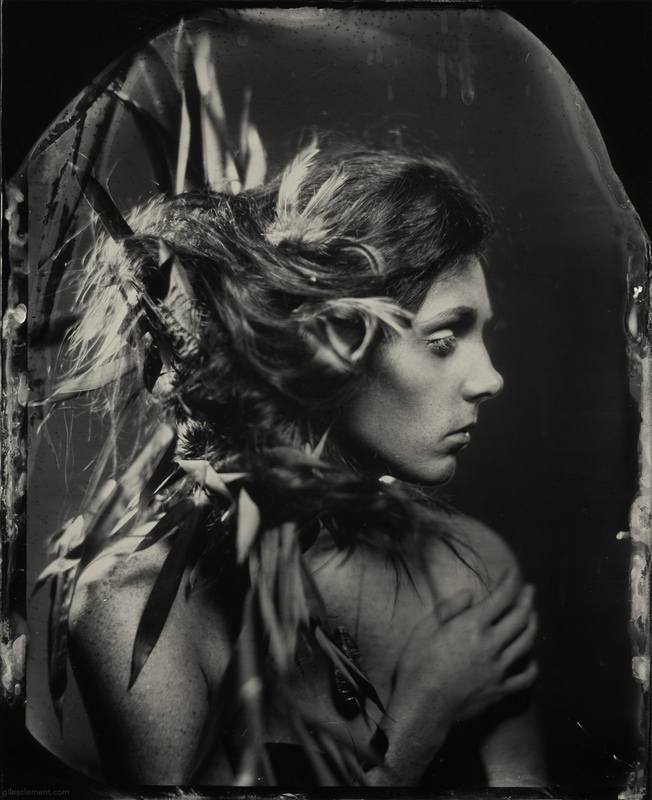 And how did you get into wet plate? I started with film, my first camera was an Olympus OM2 I found at a pawn shop for 200$. I never went through any kind of formal training for photography (but I should have) so I spent my first couple of years doing what new photographers do. Taking terrible pictures. Sometimes of flowers. I switched to digital as soon as the technology seemed reasonable and the prices came down. I morphed back to film with my personal work and slowly went up in size, from 35 to 120 to 4×5 and then to 8×10. For a while I was shooting aerial for a surveying company so I had endless film that I’d cut down from rolls that were too short to fly with. When I quit that job I was suddenly stuck with the realization that large format is ridiculously expensive. 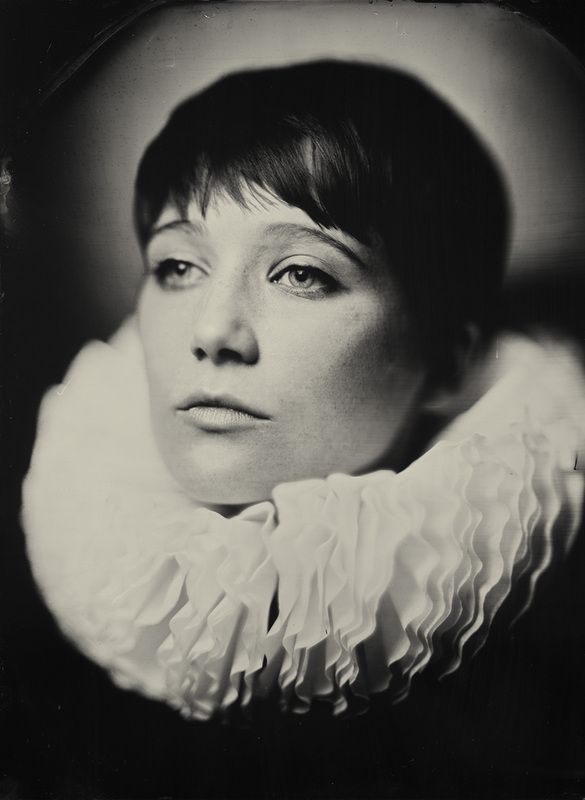 At around the same time I’d started seeing a few tintype images pop up on Flickr and loved the aesthetic, I’ve always appreciated a good f***-up in an image. 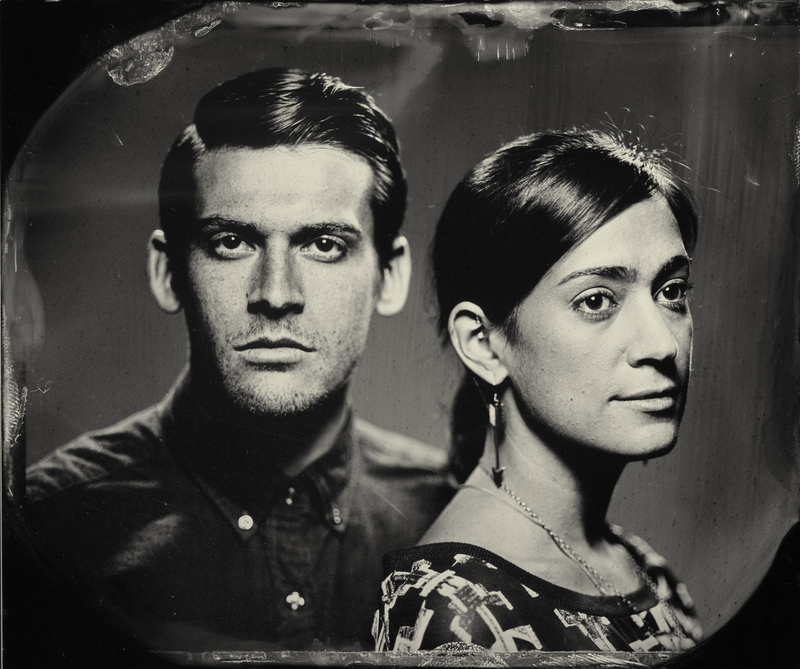 Tintype seemed like a good answer for my budget and my desire to find a more fickle and flawed medium. 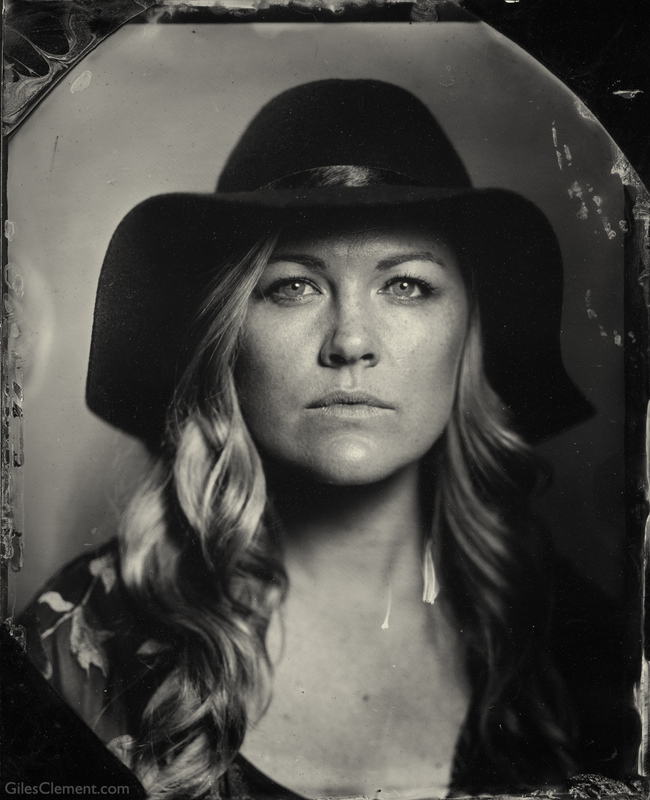 Turns out tintype really isn’t much (if any) cheaper than film and I’m actually starting to shoot more large format again but I’m still hooked. What can people expect when they get their portrait taken by you? I think people can expect an honest look at themselves with one of my portraits. 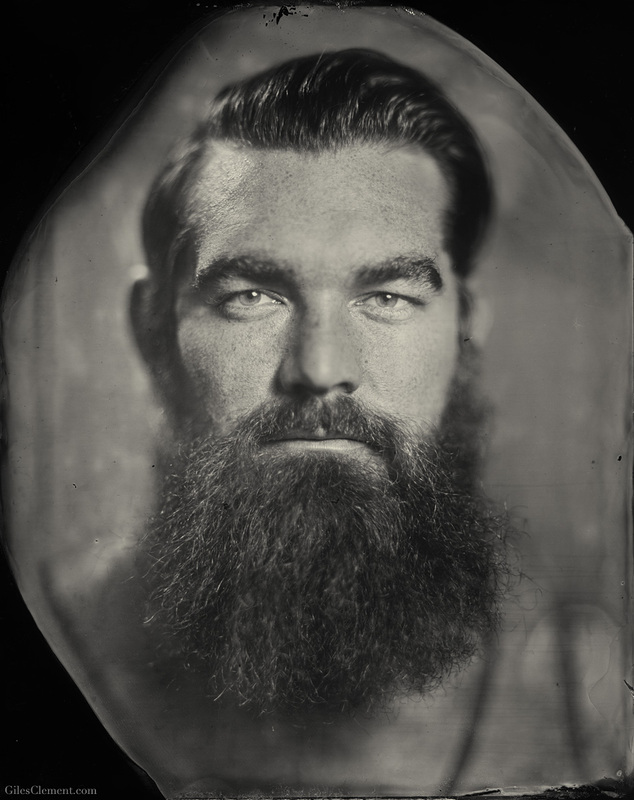 I’ve found that the slow process creates a bit of introspection on the part of the subject and that their attitude towards themselves translates clearly onto my tintypes. Love yourself, don’t worry about your wrinkles, and whatever you do, don’t blink. 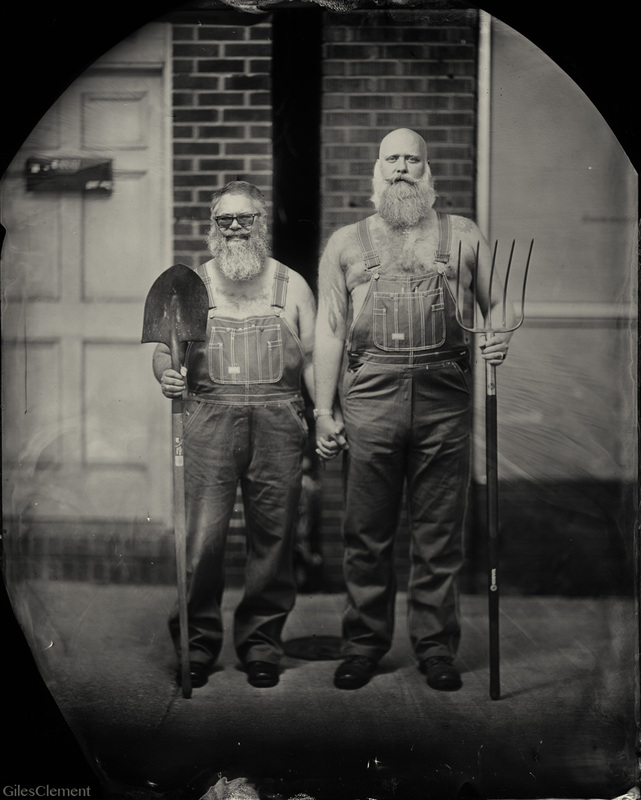 You can get your own tintype portrait taken by Giles this Sunday, May 4 from 11:00 AM to 5:00 PM at Seventh Son Brewing Co.! Only $40 for a 4×5 that you will cherish forever!